What is ARTAS hair transplant? The ARTAS hair transplant is a minimally invasive robotic hair transplant procedure used to restore hair loss in men and women. 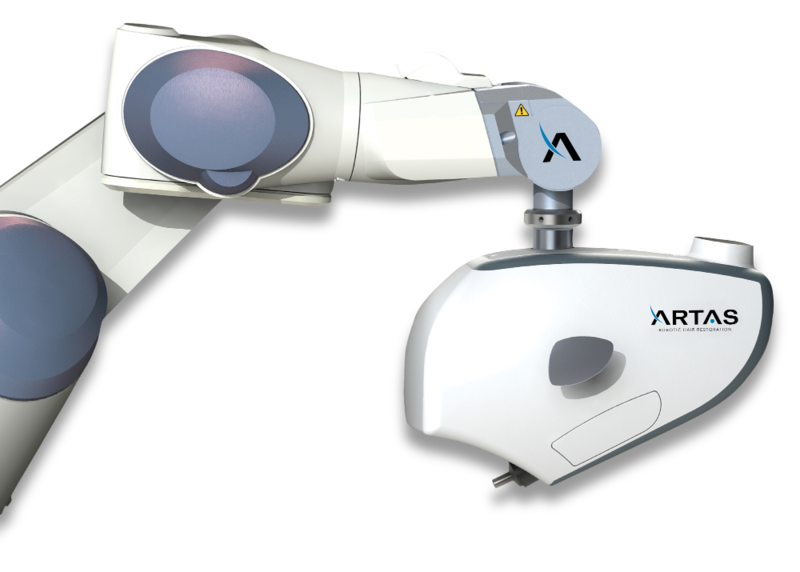 The ARTAS System utilizes precision robotics and intelligent algorithms to perform the follicular unit excision (FUE) method. The average cost of the ARTAS Hair Transplant is $7,900. ARTAS hair transplant pricing in the United States can range anywhere from $7,000 to $18,000, with most centers charging per graft rather than per session. This can be as high as $15 a graft. The ARTAS hair transplant provides natural-looking and permanent results that last. New hair growth can be seen as soon as 3 months, and will continue to show substantial growth over the course of the year. 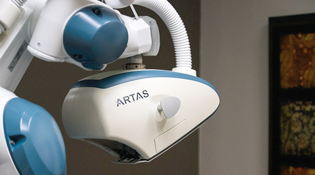 The most noticeable ARTAS results are seen at about 6 months. The ARTAS® Robotic Hair Transplant System is the most sophisticated and technologically advanced device to be introduced to the field of hair restoration surgery. 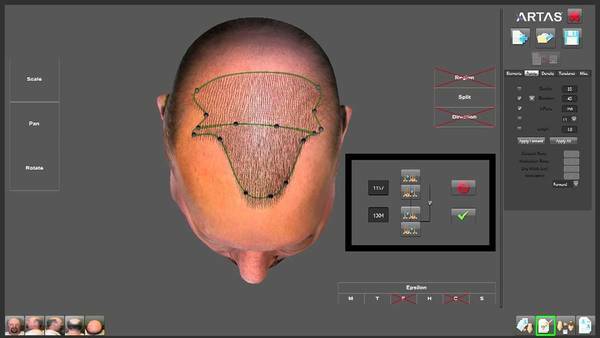 The system utilizes image-guided robotics and intelligent algorithms to improve manual hair transplant techniques. The physician-assisted technology has completely revolutionized the industry with its unparalleled performance and results. 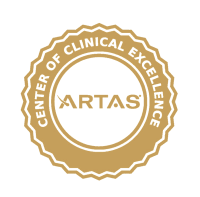 As an ARTAS Center of Clinical Excellence, Tampa Bay Hair Restoration is dedicated to providing the latest and most innovative treatments for hair loss. Dr. Michael Markou, D.O., performs the ARTAS Hair Transplant at Tampa Bay Hair Restoration to provide patients with an effective and lasting solution to their hair loss concerns. The ARTAS Robotic Hair Transplant System was created by Restoration Robotics and incorporates the follicular unit excision (FUE) hair transplant method. The traditional method of the FUE hair transplant procedure was a labor-intensive process that required surgeons to manually dissect hundreds and thousands of hair follicles from the patient’s donor area. The ARTAS Hair Transplant technology was developed by leading researchers and engineers to improve hair growth results and perfect the FUE technique. Dr. Michael Markou is one of the leading hair transplant surgeons in the state of Florida. He is a board-certified Doctor of Osteopathic Medicine and has been an influential member of the International Society of Hair Restoration Surgery (ISHRS) for over two decades. Dr. Markou has dedicated the last 25 years of his career to researching the latest advancements in hair restoration and regenerative medicine to provide only the best in treatments and results. Dr. Markou has been performing hair transplants using the ARTAS® Robotic System for several years. He has become an expert in creating the ideal hairline treatment that follows individual scalp patterns for optimal hair growth. See what Restoration Robotics has to say about Dr. Markou. What is Follicular Unit Excision? ARTAS incorporates the follicular unit excision (FUE), previously known as follicular unit extraction, method to transplant healthy hair to the area affected by hair loss. FUE is one of the two most common methods used in hair transplantations. The FUE hair transplant technique utilizes naturally occurring follicular units to promote new hair growth. A follicular unit simply refers to what comes out of a pore. While many think that a single follicle grows out of each pore, hair growth actually occurs in follicular groups (or units). Each follicular unit consists of 1 to 4 hair follicles that all come out of the same individual pore. Previous to FUE hair transplant, 3-4mm hair plugs would be removed from the back of the scalp to replace tissue from the front of the head. This would often result in an unnatural-looking appearance. Since the ARTAS Hair Transplant extracts each individual follicular unit, smaller hair grafts can be used to give hair a more natural-looking appearance. The ARTAS Robotic System and the NeoGraft Automated Device are currently the only FDA-cleared devices used in surgical hair restoration. ARTAS Hair Transplant is a less invasive, surgical hair transplant procedure. 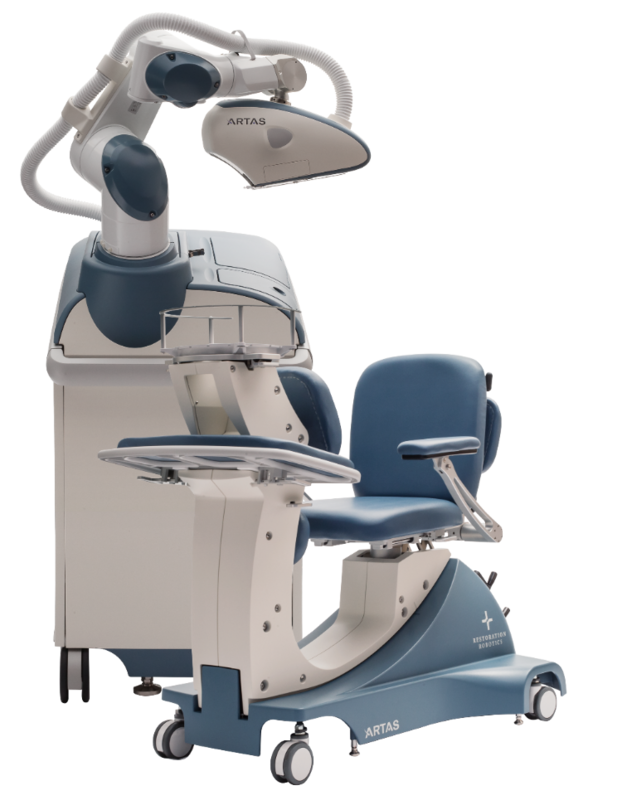 The Robotic System utilizes Artificial Intelligence™ algorithms and micron-level precision robotics to naturally restore hair without the need for plugs, stitches or sutures. 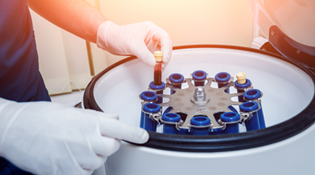 The system is used to extract healthy follicular units from the donor area (area unaffected by hair loss) and transplant them back into the recipient site (area affected by hair loss). DONOR AREA: The donor area for a hair transplant is the section where healthy hair grafts will be taken from for graft harvesting. 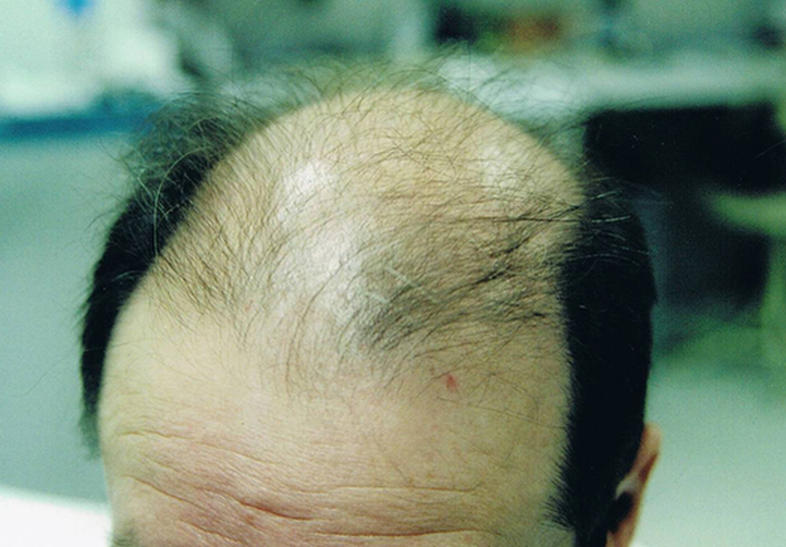 This area is usually found on the back and sides of the scalp where hair growth is permanent and not affected by the chemical DHT, one of the main influencers of male and female pattern baldness. RECIPIENT SITE: The recipient site is the section of the scalp where healthy grafts harvested from the donor area will be transplanted. 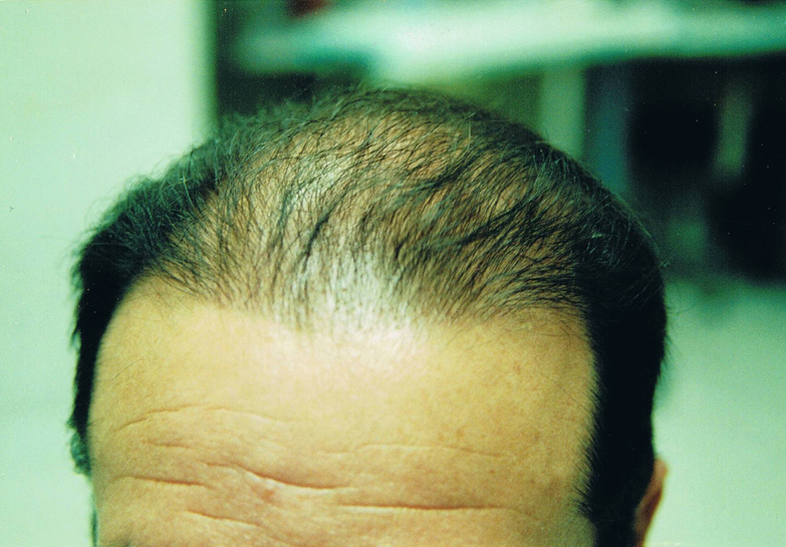 This area is usually found on the top and crown of the head where thinning hair occurs most frequently. The ARTAS Robotic Hair Transplant procedure can take anywhere from 4 to 8 hours depending on the patient’s hair restoration needs, goals and desires. The patient will be seated comfortably throughout the entirety of the procedure, and may take breaks at any point in time. The ARTAS procedure is virtually painless; however, local anesthesia will be applied to the donor and recipient areas in order to reduce any trace of discomfort for the patient. Most patients report little to no pain during and after the treatment. Before ARTAS graft harvesting can begin, the donor area will need to be trimmed to the appropriate length. The hair in this area is recommended to be one-millimeter in length or shorter. This will provide the computer imaging system with the most accurate results for identifying, tracking and harvesting each hair graft. 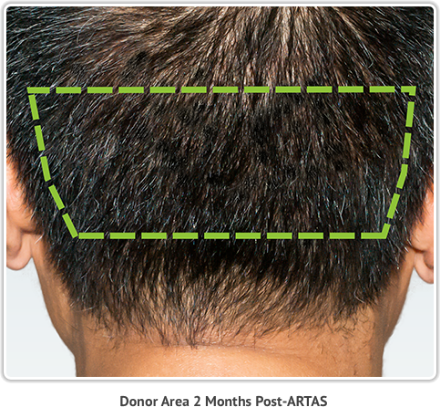 With the ARTAS Robotic Hair Transplant System’s innovative technology, the donor area will look nearly untouched and graft harvesting will be undetectable to others after the procedure. Hair harvesting refers to the process of removing healthy hair follicles from the donor area. ARTAS uses a high-definition stereoscopic vision system to identify and analyze the most optimal hair grafts for harvesting, precisely dissect those grafts, and track them all from start to finish. The technology strategically determines which healthy grafts will be selected in order to maintain the most natural appearance within the donor area, while ensuring unparalleled results within the desired areas. This is all under the control and supervision of a certified ARTAS Hair Transplant Surgeon. 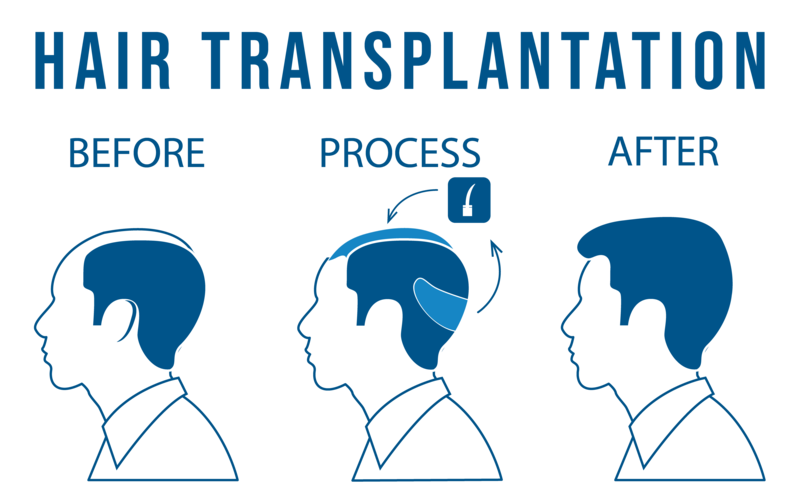 Once hair grafts are dissected from the donor area, they will then be transplanted into the recipient site. In order to determine the precise locations of graft reinsertion, a Recipient Site Making treatment design will need to be created. The ARTAS System is capable of creating recipient sites behind the hairline; however, does not create recipient sites in the hairline or the crown. This part requires a skilled and experienced hair transplant surgeon. To ensure the best results for patients, Dr. Markou currently creates all of the recipient sites personally. It’s imperative to ensure a natural and undetectable look for hair transplantation procedures. 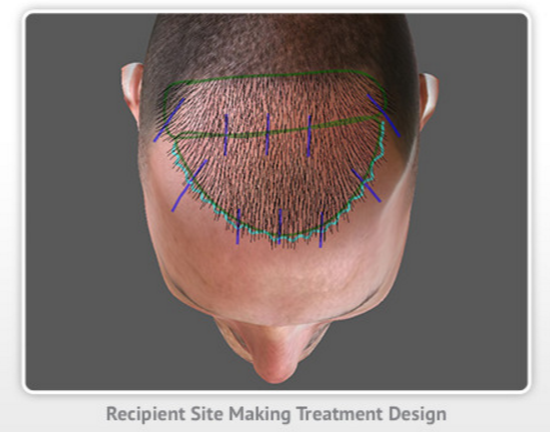 This is why Recipient Site Making is one of the most important steps of the ARTAS Hair Transplant procedure. Recipient Site Making refers to the process of designing the ideal hairline and aesthetic pattern for new hair growth. This step of the procedure requires Dr. Markou’s years of experience and artistry. Dr. Markou has over 25 years of experience in designing and developing the ideal Recipient Site Making treatment. He follows the individual scalp patterns for each patient to design a unique treatment that will provide the most natural hair restoration results. Each treatment corresponds with the patient’s desired look for hair regrowth and is based off different depths, directions and angles. Dr. Markou will determine the required angles, density, distribution, and direction of the hair follicles to ensure a natural look for hair growth while avoiding damage to pre-existing healthy hair in the recipient site. The ARTAS Hair Transplant is minimally invasive due to the micron-level accuracy provided by precision robotics. Unlike older hair transplant methods, no stitches or suturing is required to close post-extraction wounds. The Robotic Hair Transplant System incorporates a two-step dissection process to dissect each individual hair graft, allowing minimal to no visible scarring within the donor area. Any small wounds left behind will be very tiny “punch marks” that will completely close over the next few days post-surgery. Due to the less invasive nature of the ARTAS Hair Transplant procedure, patients are able to return back to their normal schedule within the next day or two. The donor area will appear like a short haircut within the next week or so. ARTAS Hair Transplant provides natural-looking results that last. Since the transplanted hair originated in the donor area, these follicles are not affected by the same conditions that cause hair loss within the recipient site – allowing for permanent hair regrowth. Once hair has been successfully transplanted, it will begin to grow almost identically to the hair follicles still located within the donor area. Hair will continue to show steady growth over time – providing natural-looking and long-lasting results. 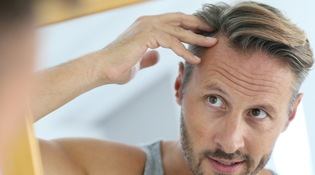 New hair growth can be seen as soon as 3 months after the ARTAS Hair Transplant procedure has been administered, and will continue to grow substantially for a years length. 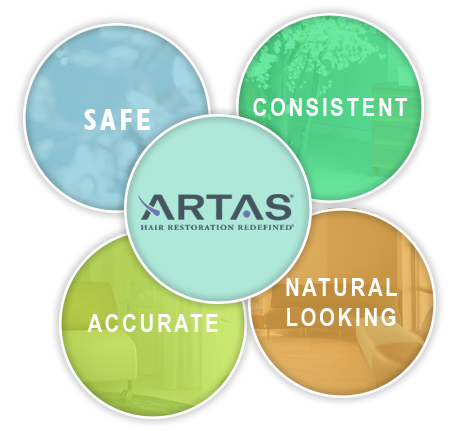 On average, patients see the most noticeable hair growth results anywhere from 6 to 9 months after ARTAS Robotic Hair Restoration. Dr. Markou performs the ARTAS Hair Transplant for patients from all over the world at Tampa Bay Hair Restoration. He is currently offering FREE consultations for both men and women aiming to restore their hair once again with ARTAS Robotic FUE. Please make sure to let us know if you’re located outside of the local Florida area, as we can provide you with the most affordable and convenient accommodation information for your travels. Put an end to hair loss and schedule an appointment for ARTAS Hair Restoration by simply filling out the form below or giving us a call at (727) 446-0608! Hair loss occurs differently in each person, so individual results may vary. It’s important to consult with a certified & licensed physician to discuss the best hair restoration options for your specific stage of hair loss. The ARTAS Robotic Hair Transplant System was created by Restoration Robotics and incorporates the follicular unit excision (FUE) hair transplant method. The traditional method of the FUE hair transplant procedure was a labor-intensive process that required surgeons to manually dissect hundreds and thousands of hair follicles from the patient’s donor area. The ARTAS Hair Transplant technology was developed by leading researchers and engineers to improve hair growth results and perfect the FUE technique. ARTAS incorporates the follicular unit excision (FUE), previously known as follicular unit extraction, method to transplant healthy hair to the area affected by hair loss. FUE is one of the two most common methods used in hair transplantations. 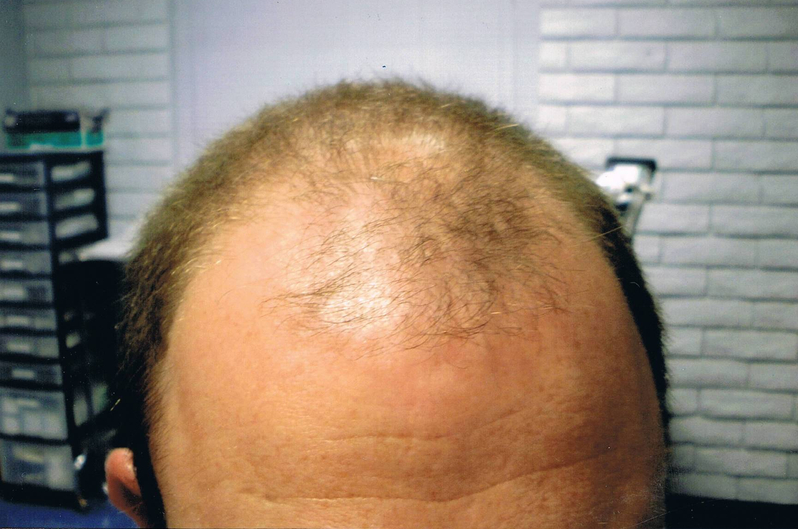 The FUE hair transplant technique utilizes naturally occurring follicular units to promote new hair growth. A follicular unit simply refers to what comes out of a pore. While many think that a single follicle grows out of each pore, hair growth actually occurs in follicular groups (or units). Each follicular unit consists of 1 to 4 hair follicles that all come out of the same individual pore. Previous to FUE hair transplant, 3-4mm hair plugs would be removed from the back of the scalp to replace tissue from the front of the head. This would often result in an unnatural-looking appearance. Since the ARTAS Hair Transplant extracts each individual follicular unit, smaller hair grafts can be used to give hair a more natural-looking appearance. The ARTAS Robotic System and the NeoGraft Automated Device are currently the only FDA-cleared devices used in surgical hair restoration. The ARTAS Robotic Hair Transplant procedure can take anywhere from 4 to 8 hours depending on the patient’s hair restoration needs, goals and desires. The patient will be seated comfortably throughout the entirety of the procedure, and may take breaks at any point in time. The ARTAS procedure is virtually painless; however, local anesthesia will be applied to the donor and recipient areas in order to reduce any trace of discomfort for the patient. Most patients report little to no pain during and after the treatment. A robotic hair transplant is a surgical hair restoration procedure where hair is removed and transplanted under robotic control. 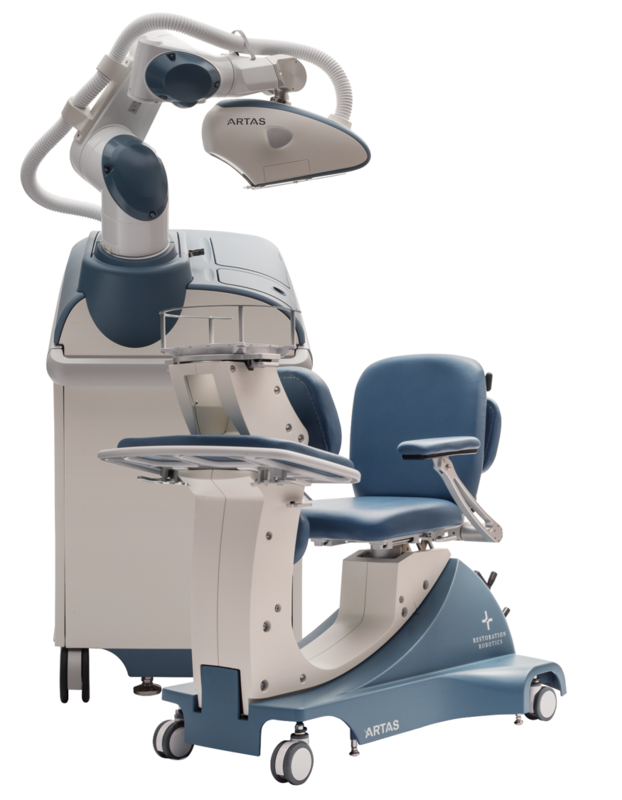 ARTAS robotic hair transplant utilizes advanced digital-imaging and intelligent algorithms to improve the speed, accuracy and consistency of manuel hair transplantations. What’s the difference between ARTAS vs. NeoGraft? ARTAS vs. NeoGraft: Both hair transplant procedures incorporate the follicular unit extraction (FUE) technique. 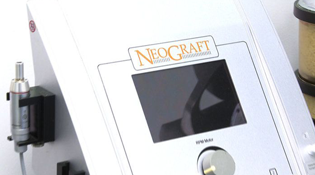 NeoGraft is a manual handheld device that assists in extracting and transplanting hair follicles, while ARTAS is an automated robotic system that performs the procedure with guidance from the surgeon. What is the FUE hair transplant method? Follicular unit extraction (FUE) is one of two common techniques used in hair transplantations. 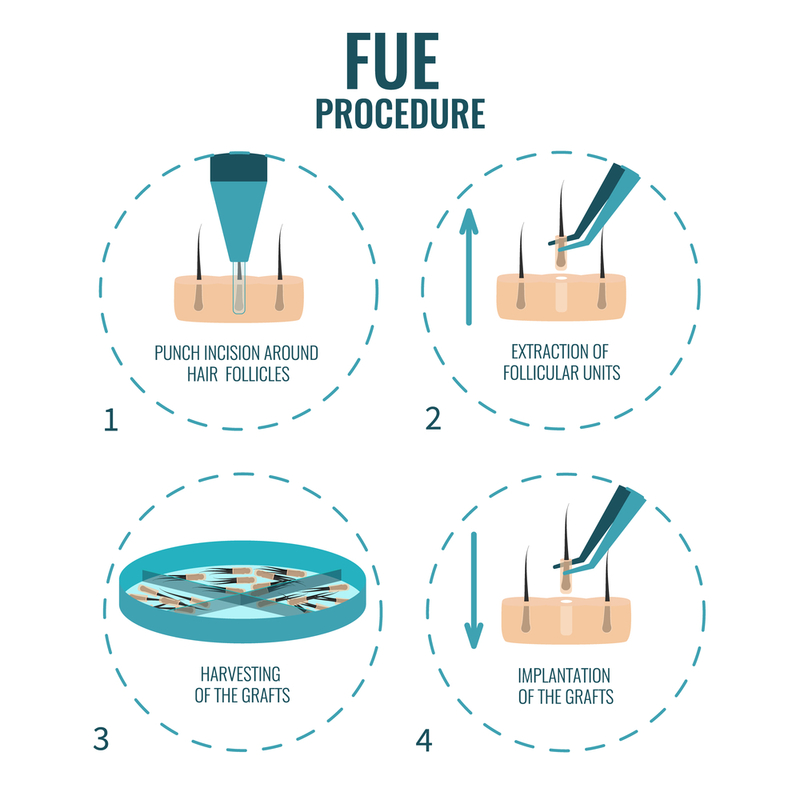 The FUE hair transplant method utilizes naturally occurring follicular units to promote new hair growth. A follicular unit simply refers to 1-4 hair follicles that grow together out of a single pore. How much does ARTAS hair transplant cost? The ARTAS robotic hair transplant cost can range anywhere from $7,000 to $18,000, with most hair transplant centers charging per hair graft rather than per session. Patients can be charged as high as $15 per graft. Unlike most centers around the United States, we charge per session rather than per graft. By doing pricing this way, we’re able to put 100% of our focus on creating the ideal hairline for maximum hair growth. This ensures we harvest as many hair grafts as necessary to achieve the thickest results possible in one session. On average, the ARTAS hair transplant procedure costs about $7,900 at our center. Is ARTAS hair transplant painful? The ARTAS hair transplant is a virtually painless procedure; however, local anesthesia will be applied to the donor and recipient areas in order to reduce any trace of discomfort for the patient. Most patients report little to no pain during and after the procedure. Am I a good candidate for ARTAS hair transplant? The ARTAS hair transplant is a suitable hair restoration option for both men and women. It’s ideal for patients who prefer to wear their hair short or require minimal activity restriction following the procedure. Robotic hair transplant may not be suitable for those in advanced stages of hair loss. Are there any side effects to robotic hair transplant? The ARTAS robotic hair transplant is a minimally invasive procedure with minimal side effects. Patients may experience slight swelling and redness after the ARTAS hair transplant procedure that will completely heal over the next 1 to 2 days. Do I need to cut my hair for ARTAS hair restoration? Only hair in the donor area will need to be trimmed to the appropriate length (1mm) for the ARTAS robotic hair transplant. 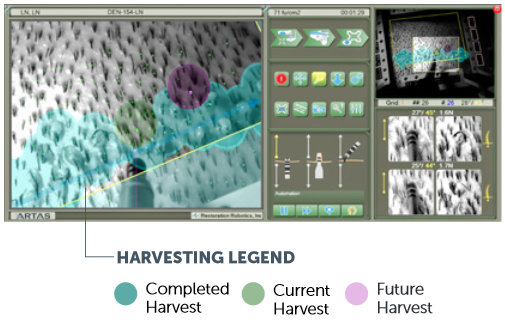 This provides the computer imaging system with the most accurate results for identifying, tracking and harvesting each hair graft. How long is the ARTAS hair transplant recovery time? 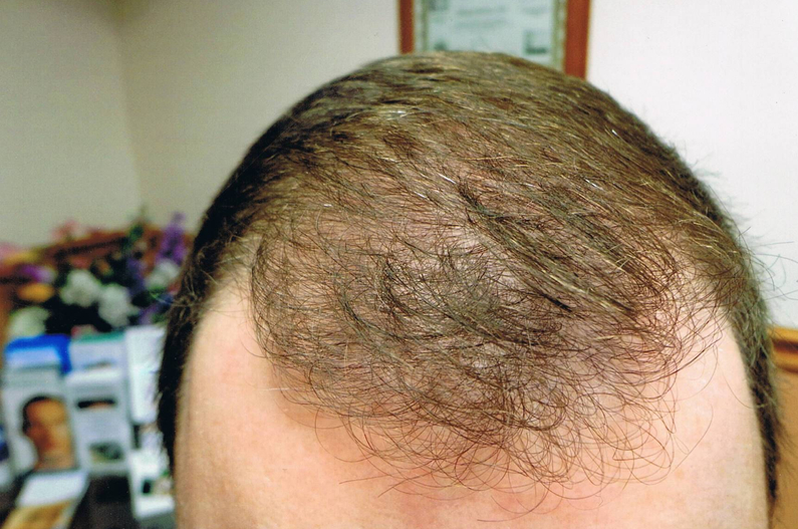 The ARTAS hair transplant recovery time is less than most cosmetic procedures. Since no suturing is required, patients are able to enjoy a speedy recovery. Most patients are able to return back to their normal schedule almost immediately. Are ARTAS hair transplant results permanent? 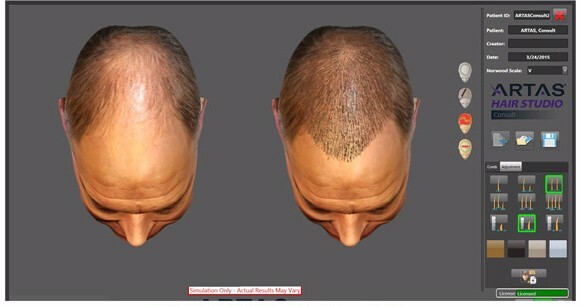 ARTAS hair transplant results are permanent. Hair follicles transplanted from the donor area are not affected by the same hair loss conditions. Once hair is transplanted to the area affected by hair loss, hair growth will continue identically to those still found in the donor area. Stop Your Hair Loss TODAY and Start Regrowing Your Natural Hair. Schedule a Consultation & Find Out Which Hair Loss Treatment Will Work Best for You. At Tampa Bay Hair Restoration, we’re able to restore your hair and your confidence. Dr. Michael Markou specializes in hair restoration, hair replacement, hair transplants, and hair regeneration. While the center is in Clearwater, we help many clients from Tampa, Clearwater Beach, Sarasota, St. Petersburg, Orlando, Miami, Largo, Dunedin, Belleair Bluffs, Pinellas, Kissimmee, Fort Myers, Daytona Beach, West Palm Beach, Naples, Fort Lauderdale, Jacksonville, Tallahassee, and beyond. Disclaimer: *All patient or client images, videos and testimonials are based on the personal experiences of our patients and represent individual diagnoses, medical conditions, goals and results. Every individual case is unique therefore, results may vary from person to person. All testimonials are provided voluntarily by our patients without monetary compensation and all photos and videos have been consented to for public release and have not been altered in any way. The content contained herein is for education only and should not be considered medical advice. Medical advice may only be given through a one-on-one, private consultation with a physician.